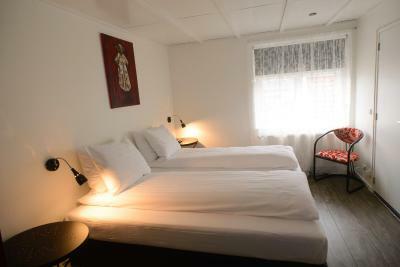 Lock in a great price for Hotel Buren – rated 8.6 by recent guests! The staff was very friendly and very flexible. 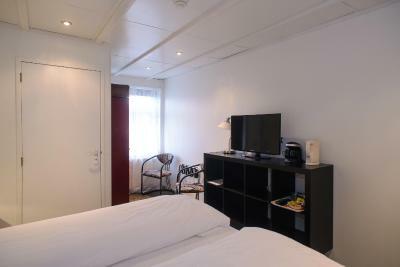 The hotel is 2min walk from the city center and a 4min walk from the harbor. The rooms are clean and they are cleaned everyday. The staff even prepared a lunch package for me on my check-out day because I was leaving with the first ferry and would not make it to the breakfast. Excellent location close to the ferry and just a few steps away from the main shops. 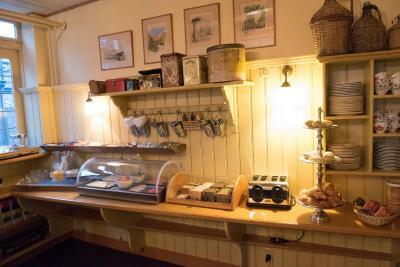 Wonderful breakfasts, very friendly and helpful staff, Very clean and comfortable accommodation and it was brilliant to have tea and coffee making facilities in the room. Very close to the ferry port and to the shipping area, supermarket and restaurants. The room and bathroom we're smallish but comfortable ... quite the norm for Netherlands. I would stay again. Excellent staff, really friendly. Great location to explore the island, close to the harbor (walking distance). Nice relaxed atmosphere. Friendly and easy going staff. We were still allowed access to the hotel after checking out so that we could leave our luggage in a storage room until we had to catch our boat again. The whole place is very cozy, clean and comfortable. 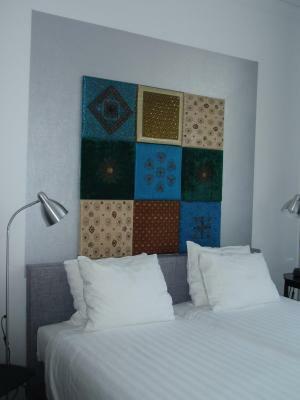 Rooms are simply yet nicely decorated and absolutely clean. Shower was hot, the rooms were cleaned daily, enough towels and soaps and everything. Breakfast was delicious, plenty to choose from and everything was fresh, I especially enjoyed local honey and cranberry jam. The dining room is very cozy. The hotel was very quiet, staff was polite. It was a very long journey from London but we were going especially to visit a Common Wealth War Grave. We arrived at about 10pm and the owner was waiting for us with a friendly welcome. The location of the room from ferry and into town was all within walking distance which was excellent. The hotel was clean and everything we needed was provided. A good choice of continental breakfast. We had an early start on the day we left and was kindly offered a picnic breakfast to take with us. 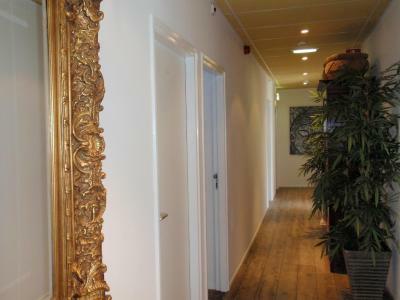 I would highly recommend this hotel to anyone visiting Terschelling. A good choice of restaurants nearby. 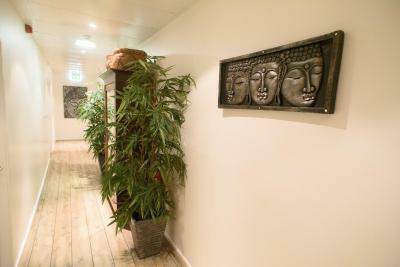 Charming hotel, lovely and helpful staff, comfy room, excellent breakfast, located 4 min walk from the ferry terminal but in a quiet street, perfect stay ! Great lunch packs proposed. Hotel in a nice traditional house in the center of the village. 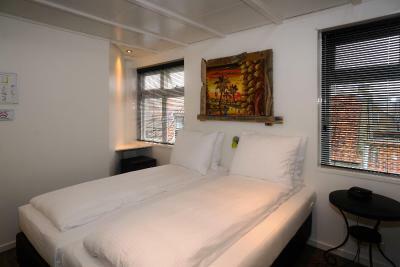 Nice, although small, comfortable room suitable for short stay. Fresh coffee and tea in the room. Simple but good breakfast with local honey and cranberry jam. Hotel owner arranged for us a great seal seeing and shrimp catching trip with boat and recommended some cozy restaurants. 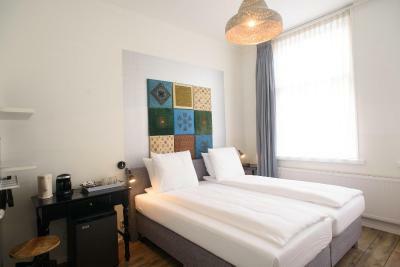 Hotel Buren This rating is a reflection of how the property compares to the industry standard when it comes to price, facilities and services available. It's based on a self-evaluation by the property. Use this rating to help choose your stay! 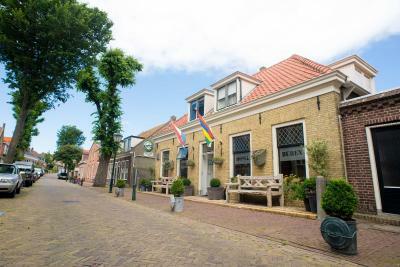 One of our top picks in West-Terschelling.Hotel Buren is a cozy family hotel, only a 5-minute walk from the harbor and the lighthouse. The hotel has a very convenient location for the ferry, village center, and nature reserve. 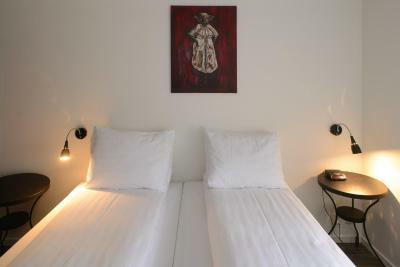 The hotel is located in a historical building from 1843. This former school building has now been transformed into a comfortable hotel, offering free Wi-Fi throughout. 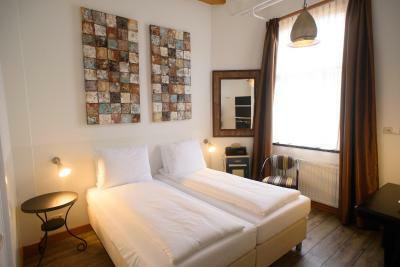 When would you like to stay at Hotel Buren? This family room is located on the fround floor at the north side of the hotel. It has a sofa bed and 2 connected boxspring beds. The bathroom has a shower, a toilet and a sink and free toiletries are included as well. This room is located on the second floor on the north or south-east side of the hotel. 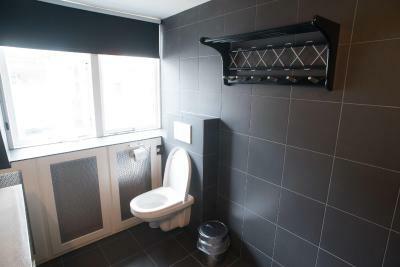 The bathroom comes with a shower, toilet and sink, and free toiletries are included. 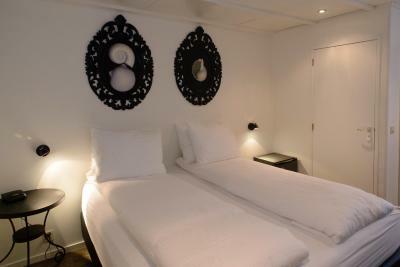 Please note that upon request this room type can be changed into a double room for a surcharge of EUR 15 per stay. This room is located on the ground floor at the north-side of the building. 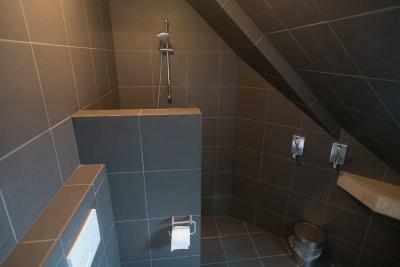 It has a bathroom featuring a shower, toilet and a sink including free toiletries. 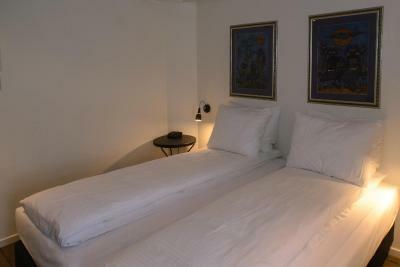 For a surcharge of 15 euros the twin beds will be changed into a double bed. This room has a private terrace facing the south. 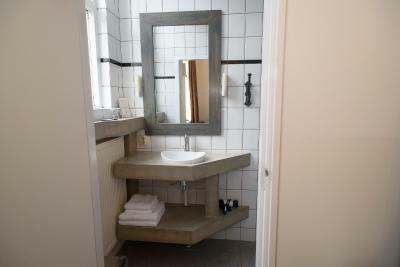 The room has also a bathroom featuring a shower, toilet, a sink and free toiletries. It is especially suitable for guests with less mobility, due to the adjustable beds, special mattress, sink at wheelchair height, etc. Guests can request special care and nursing. This room is located on the south side on the first floor of the hotel. The bathroom has a sink, shower and toilet. This room is located on the first floor and has access to bathroom. This room is located on the ground floor on the north side of the hotel. In this room there is a sofa bed which allows 1 extra person to stay in the room. Furthermore this room contains a TV and has access to a private bathroom. It is located on the ground floor. This room is located on the first floor on the front side of the hotel. The rooms has enough space for a child cot. 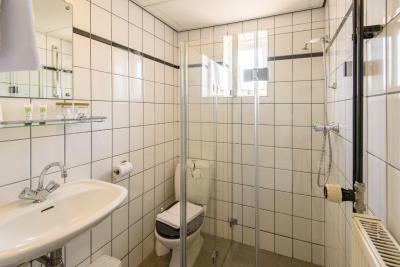 It also has a bathroom with a shower, toilet, sink and it offers also free toiletries. This twin/double room has a electric kettle, seating area and tile/marble floor. House Rules Hotel Buren takes special requests – add in the next step! One child under 4 years is charged EUR 15 per stay in a crib. 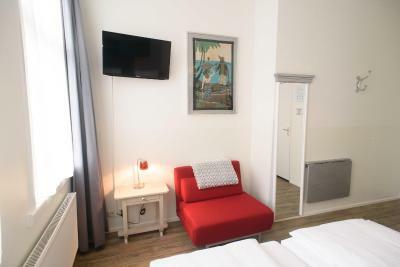 One child from 4 to 10 years is charged EUR 15 per person per night in an extra bed. Please inform the property in case of questions regarding care and nursing at the accommodations. Just a word of caution: the stairs are steep & narrow and there's no lift. Nothing. It was a pleasant hotel in the middle of town. Whilst you might not see the sea from here, you can see the lighthouse which is quite nice. Reception on call. Bathroom could be bigger. Beds were a little too soft, but that's just my preference.